Just when we thought we'd seen the last of the trenches, more are starting to appear! 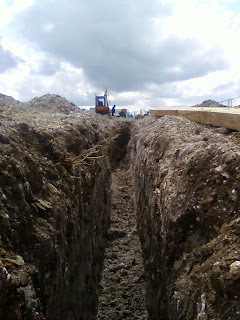 However, these trenches are not for cables. 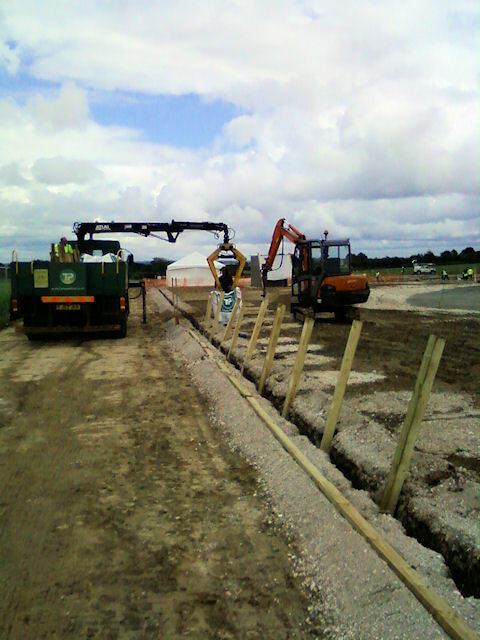 Instead, this is part of the fence that will surround the two LOFAR fields. Because of the requirements, these fences cannot contain large lengths of metal; so the common wire fencing is not an option. Instead, they are constructed of timber and synthetic netting. The netting itself is buried into the ground to attempt to control the rabbits (evidence of whom has already been spotted on the LBA field). 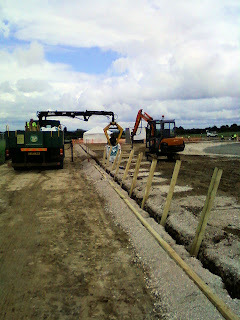 Timber fence posts are dropped in along the trench ready for securing.